Kinilaw na Tuna with Tabon Tabon. As I have mentioned in my recent post about Tabon Tabon. 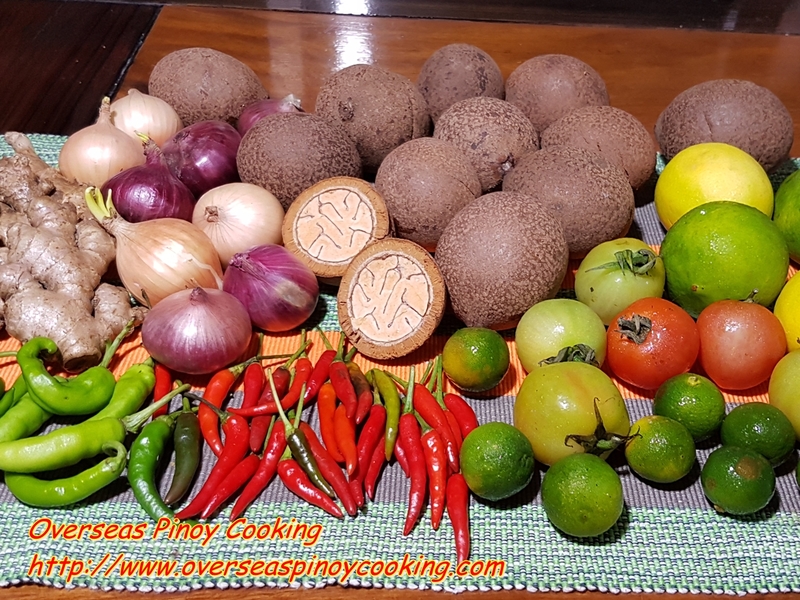 The fruit of Tabon Tabon not-so secret ingredient of Kinilaw in Northern Mindanao, particularly in Iligan City, Cagayan de Oro City and other places on the area. I have been waiting for the change to get physically hold of the Tabon Tabon fruit. Just recently we have a big project in Iligan City, that was the only time that I had a change to travel to Iligan City. Unfortunately the trip was coincidental with the war in Marawi. Marawi is just about half an hour drive from Iligan City. Those people from Marawi City that were caught with the war (“bakwit”) are placed at evacuation centers in Iligan City. Never the less this development did not hinder our Iligan City travel. Except for the presence military that were manning the checkpoints, Iligan City was generally peaceful and orderly. Okey enough of that we now have to get back to the post of Kinilaw na Tuna with Tabon Tabon. 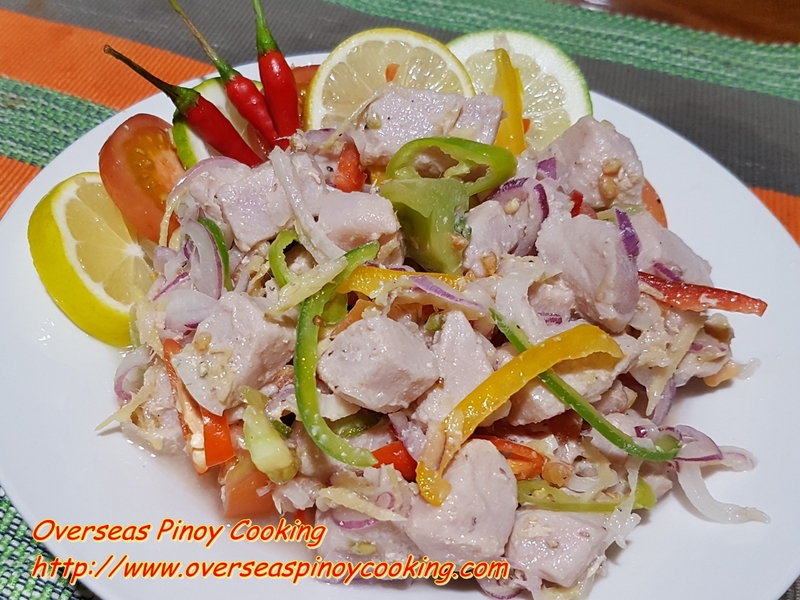 For this recipe I opted to use sashimi fish fillet of Tuna. 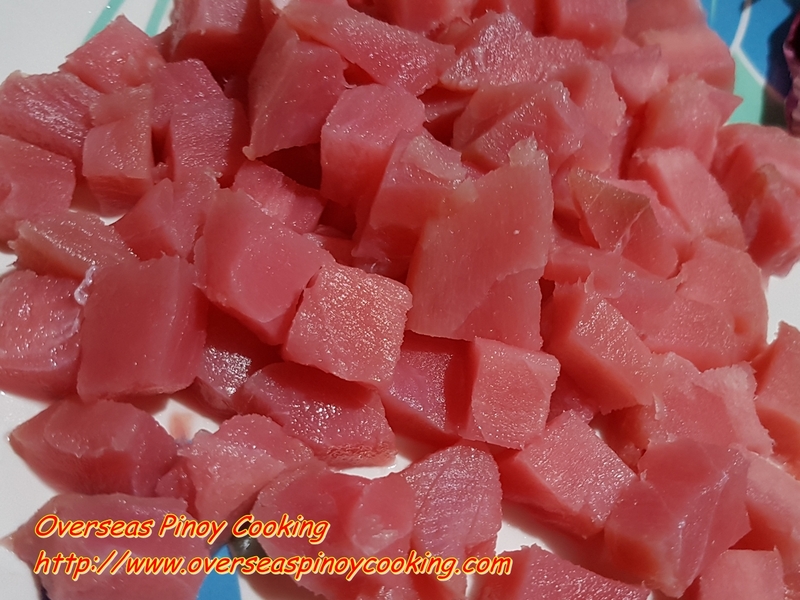 For my first Kinilaw with Tabon Tabon recipe I used a lot of ingredients, similar to those fancy ingredients when you eat at those big specialty restaurants. 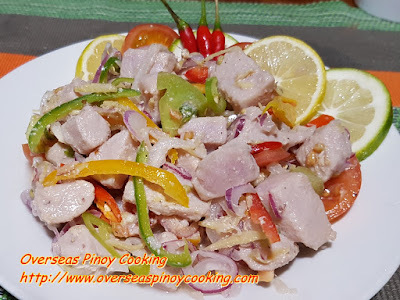 Tabon Tabon as I read in the web remove’s that fishiness of the fish, Tabon Tabon has antibacterial properties that prevent indigestion or food poisoning from eating a raw fish. The fruit is cut in half and will reveal a cross-section that looks like the brain. The seed is then scraped using a spoon, the sap is mixed with vinegar to dilute to form a milky solution. The bitterness of the Tabon Tabon when mixed with vinegar will result a biter- sour-sweetness that apparently improve the flavours of Kinilaw. Another important ingredient of Kinilaw na Tuna with Tabon Tabon is the Biasong, a local lime fruit or a small native dayap. Biasong adds fragrant of a lime to the Kinilaw. 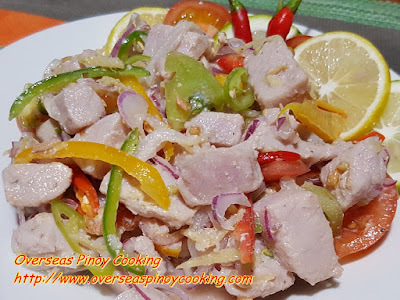 To make our Kinilaw na Tuna with Tabon Tabon is fairly easy is similar to my other Kinilaw recipes, with of course except for the addition of Tabon Tabon. Here is the recipe of my Kinilaw na Tuna with Tabon Tabon. Using s spoon scrape-off the pulp/seed of the tabon tabon, place in a small bowl and dilute in about 1/3 cup of the vinegar, using a sieve, strain out the solid pulp and discard, keep aside the tabon tabon vinegar solution. In a big bowl place the vinegar and toss in the tuna, let stand for 5 to 10 minutes while preparing the other ingredients. Using a sieve drain the vinegar from the tuna (do not squeeze) and return the tuna to the bowl add in all the chopped and sliced ingredients. Season with salt and pepper to taste. Add in the tabon tabon vinegar solution and toss until fully mixed. Chill in the refrigerator for 5 to 10 minutes or before serving.